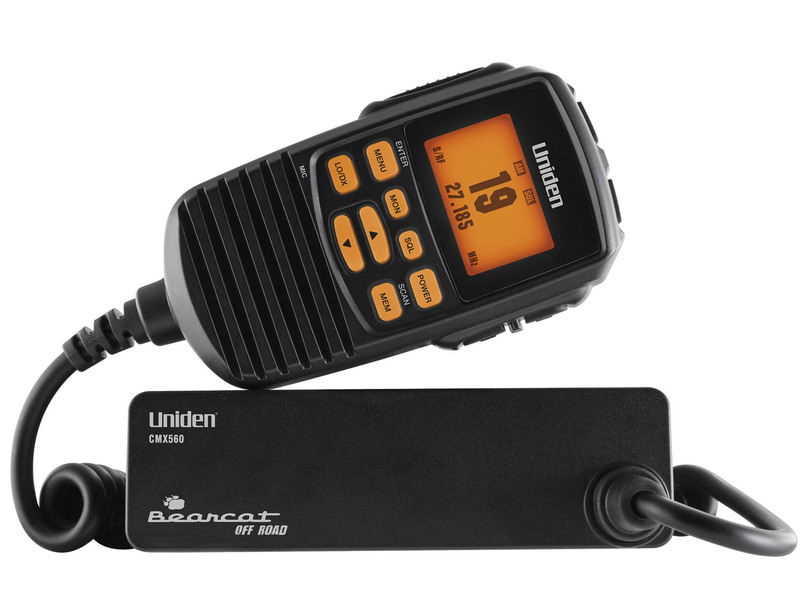 Bearcat professional 40 channel ultra compact off-road series CB radio is built tough, designed to withstand the harshest conditions. Unique microphone/speaker handset design allows user to install unit in tight spaces. Features large (.85x1.38) back-lit amber display with channel & frequency readout, Local/Distance switch enables superior reception, Channel Memories, Memory Scan, NB/Hi-cut filter, One-touch Channel 9/19, keylock and external speaker jack. Comes with microphone clip, mounting bracket & detachable power cord. Speaker/Mic Head 4.25 L x 2.5 W x 1 D.